On its current carbon emissions path, humanity faces a 50-percent chance of warming the planet a whopping 5.0 degrees C by the end of this century, warned Nicholas Stern, an economist who is chair of the Grantham Institute for Climate Change and the Environment at the London School of Economics. “Hundreds of millions of people will be forced to move. It will be the most severe global conflict in human history. That is what the science is telling us,” said Stern, author of the well-known Stern Review, the 2006 report that documented the effect of global warming on the world economy. Humanity’s other option is to embrace a new energy revolution unlike anything ever seen. And cities will be on the leading edge of this revolution, he said. Cities use 80 percent of all energy and are responsible for the bulk of emissions. The good news is that cities are also the easiest places to get major emissions reductions because energy services are centralised and collaboration is easier. “Local mayors and councils can more easily agree on policies and direct their administration to take action,” he said. 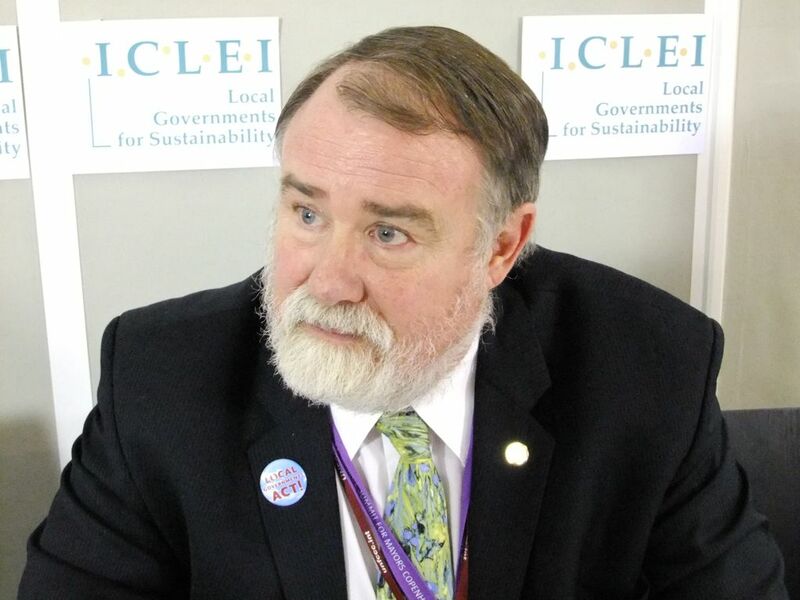 “Cities are already doing the work of national governments on climate,” said David Cadman, president of ICLEI – Local Governments for Sustainability, an international association of local governments that is hosting a mayors’ conference featuring mayors from more than 100 cities as part of the climate negotiations here. ICLEI has sponsored the Cities for Climate Protection Campaign for the past decade. Toronto, Canada has already cut one million tonnes of CO2 per year. Sao Paulo, Brazil with 11 million people, has reduced emissions 20 percent since 2005 and is aiming for 30 percent by 2013. Copenhagen, a city of 1.2 million people, has cut CO2 emissions by 20 percent from 1995 to 2005. Mayor Ritt Bjerregaard said the city will reduce that by another 20 percent by 2015, and become “carbon-neutral” by 2025. 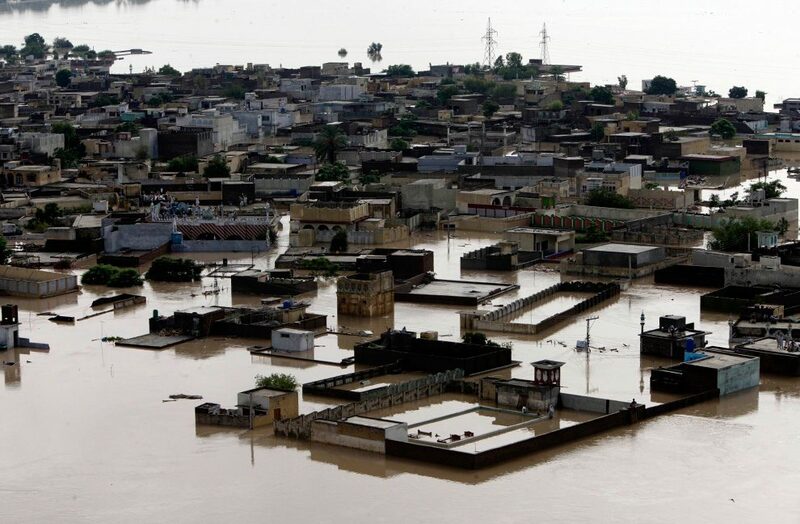 Cities will also be earliest and hardest hit by climate change. Twenty of the 30 largest cities are vulnerable to sea level rise. When droughts or heat waves strike, city dwellers suffer, offering plenty of incentive for cities to act on climate, said Nicky Gavron, former deputy mayor of London. With a concentration of people and resources, cities often spark new technologies such as automated banking machines and broadband internet, said Dimitri Zenghelis of the Energy, Environment and Development Programme at Chatham House, a British think tank. “Everyone needs to understand that carbon emissions must decline sharply and that it will pay off to take early action,” Zenghelis told IPS. Government protection of carbon-intensive industries such as the fossil fuel sector is not in the public interest, he said. Action by national governments is slow in coming because understanding of the gravity of the climate crisis has been slow to sink in, said Stern. The news media are crucial to changing this and explaining that restructuring the world economy can bring a safer, more secure, more biodiverse and cleaner world. “The process to get there will require dynamism and creativity,” he said. Governments not only need to invest in new technologies, they must collaborate with the rest of the world since this is a global problem. 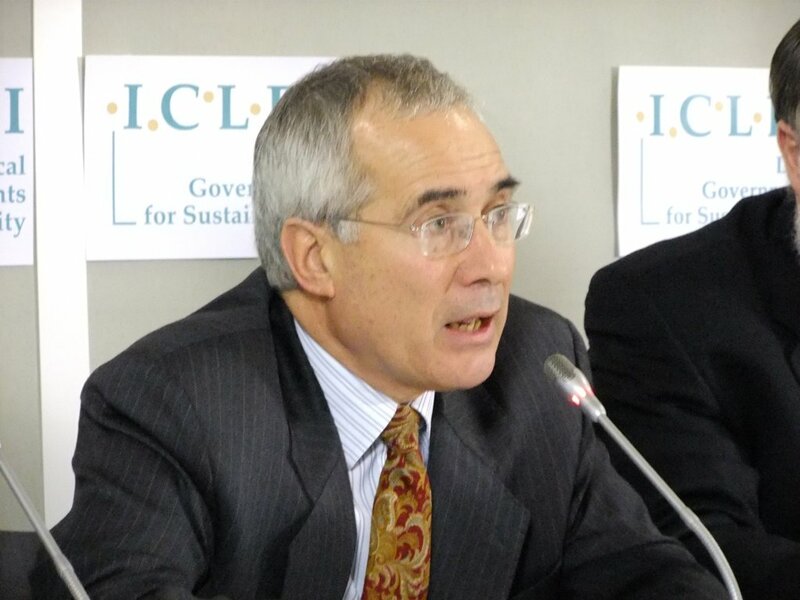 Proposals to put 50-100 billion dollars into an annual adaptation fund to help developing countries cope with climate change would require a mere 0.1 percent of the GDP of rich countries, said Stern. “That amount is no financial burden. After all, we are dealing with the biggest problem facing humanity,” he stressed. Cadman noted that governments have no problem subsidising the fossil fuel industry in amounts approaching a trillion dollars. “There were also trillions to bail out the financial sector. Money is not the problem,” he noted. Of course we are headed for disaster- but as long as Corporatist interests have power, and complete control- nothing is going to be done. When the Ponzi economy we have been in the last 30 years drops off a cliff like Wylie the Coyote caused largely by climate change- we will then be forced to make changes. Its going to be a very fascinating century- I hope I am around to see the huge changes ahead before my last round up. People think that man is causing Global Warming. The truth is in the Magnetic earth changes coupled with the Sun spot or lack there of. I recommend that people go to Coast to Coast AM on February 9th and check out the first hour. I would also recommend ICEAGENOW.com for information. Remember the Vikings settled Greenland in the 8th century and grew crops and raised animal because there was not Ice. It was not until about the 12th century that the Ice came back. Where was their carbon gas problem? I would also recommend you get a copy of the EPA study that indicates that Man has not cause Global Warming (the report has been suppressed, but I have a complete copy (96 pages) before it was removed. The Russian think we need to prepare for the football field size Asteroid which will be coming in 2029, but may hit the Earth in 2035 unless we can go into space and nudge it with rockets somehow. Sorry George the evidence is overwhelming that humanity is main cause of the present warming. The fact that Vikings once lived on the southern tip of Greenland does not mean the rest of it wasn’t covered in ice. And Greenland is just a small part of a very big planet. There is no suppressed EPA report because there is no science to support your point. Why is the Magnetic North is shifting. Is this caused by man? We have millions of volcano’s under the Ocean that are emitting Co2, sulfuric acid, and other chemicals. So much is coming from these volcanic explosions that it exceeds man’s pollution thousands of time over. I have reviewed many sources. What about the draft report of EPA that has been suppressed? I have the pdf file downloaded before they suppressed it. I talked to the Senate about this and they know about it and were going to try to get hearings on it. The Earth’s magnetic pole is inexplicably shifting, creating unstoppable forces generating monster storms which we have seen at the beginning of 2011. There is evidence that a cycle of super-storms has started, the latest being the gigantic ice storm across North America. Is this the beginning of a new Ice Age? 43300.jpegFrightening new evidence begins to surface about the Earth’s wobble, its effect on the climate and the beginning of a new Ice Age, heralded by a series of monster storms such as those unleashed on the UK in late 2010, the USA before Christmas and now again at the beginning of February and Eastern Australia, first with its worst flooding ever and then with a Category 5 hurricane. The latest storm to hit the USA has affected 150 million people and stretches across 2,000 miles of territory, according to the research presented in the article “Magnetic polar shifts causing massive global superstorms”*. In Australia, unprecedented rains saw sharks swimming along the streets of towns and so much water fell, that “Shocked authorities now numbly concede that some of the water may never dissipate and have wearily resigned themselves to the possibility that region will now contain a small inland sea”. Then struck Yasi with its winds of almost 200 mph – 22 per cent faster that a Category 5 hurricane. “Yet Yasi may only be a foretaste of future super-storms. Some climate researchers, monitoring the rapidly shifting magnetic field, are predicting super-storms in the future with winds as high as 300 to 400mph,” states researcher Terrence Aym. According to the research, a change in the Sun’s electromagnetic field is reacting with the Earth’s, having an effect not only on the Earth’s magnetosphere, but also its wobble, the dynamics of its core, the Ocean currents and the weather. The result is that the Earth’s magnetic core has been shifting 40 miles to the East annually over the last decade, as opposed to the 5-mile average. Worse, it is accelerating. Not only that…all the signs are there for the beginning of a new Ice Age. Just before this post I copied the Science Page from the Russian Newspaper (English version) of Pravda.ru (which in Russian means–THE TRUTH). The Russian Scientific Community is not filled with empty headed idiots today. They have some of the best scientific minds in Astra-Physics in the world. They are being directly affected by the magnetic shift. I would hope that the author of this column would look outside of the United States and the UK for data. The Global Warming data is to push for economic control. If I thought that man could make a difference I would jump on the band wagon. I applaud people for trying to decrease bad emissions for their area. But to push for Cap and Trade is a scheme that is intended to make some of the elite rich. We have enough stupidity in the world. When the Federal Reserve, controlled by foreign banks can print 12.3 Trillion dollars (not authorized by Congress) and give European Banks over 6 Trillion of those dollars, we need to check into things. The Author of ICEAGENOW. com is not stupid. I keep talking about the suppressed EPA Draft Report. If you want a copy all you need to do is ask. It is 96 plus pages long. I can send the four page executive summary. For your information, I use to write Regulations for the US Army and HQ AMC in Washington as a Division Chief of the US Army Armament, Munitions and Chemical Command. I am a published author on the US Industrial Base and worked with the Task Force to Improve Industrial Response at DoD level in the early 1980’s after the Congressman ICHORD report on the Industrial Base. I do research in my retirement and I was an elected official for ten years after I retired from the Government. I have presented at 8 Symposiums on various subjects. Those are some (only part) of my credentials! George, I am not knocking Russian science. I have met and talked with several Russian scientists about climate over the years — none has ever mentioned magnetic field impacts on climate. I have also been writing about climate science for 15 years and have interviewed experts all over the world. Terrence Aym is not an expert on climate, he’s a blogger who gets paid for writing all sorts of articles that get people to click on them. The more controversial the better. He does not do real interviews with scientists, he makes stuff up – I’ve checked. Same applies to iceagenow and Robert Felix. Hi Stephen, I happened across your blog while searching for information on that dubious organisation ICLEI ans have only had a quick read of your article but will review it and more of your writings soon. Meanwhile, just because economist Stern (http://en.wikipedia.org/wiki/Nicholas_Stern,_Baron_Stern_of_Brentford) says “On its current carbon emissions path, humanity faces a 50-percent chance of warming the planet a whopping 5.0 degrees C by the end of this century” does not make that anything other than pure speculation. You may well have “ .. been writing about climate science for 15 years and have interviewed experts all over the world .. “ but that does not make you an expert in the processes and drivers of the different global climates.. The fact is that even those with relevant expertise in one of the many scientific disciplines that are contributing to improving our poor understanding of those processes and drivers are struggling with the science and have to speculate about feedback effects. I must dash as she who must be obeyed is screaming. Back later. Pete, Stern’s comments reflect the findings of several scientific projections of where we may be headed — many of which I have written about and posted here. Those articles reflect the understanding of leading experts in the processes that drive our climate. Contrary to what you state that understanding is well-established and they have been proven right over the past two decades. Hi again Stephen, now that I have more time to spend responding to your articles may I start by saying how nice it is to exchange opinions with someone who, despite having totally opposed views to my own on the Catastrphic Anthropogenic Climate Change (CACC) doctrine, is prepared to discuss openly without censorship. Many others such as Skeptical Science, Watching the Deniers, Greenfudge, Greenfyre, etc.etc. resort to banning sceptics like me. Mentioning such blogs brings to mind ecologist Professor Barry Brook, Professor and Director of Climate Science, Environment Institute Adelaide University (Note 1) who has a blog BraveNewClimate. A couple of years ago Professor Brook ran a thread that criticised the book “Heaven & Earth” by Professor of Geology Ian Plmer (Note 2). In his article he acknowledged that QUOTE: .. There are a lot of uncertainties in science, and it is indeed likely that the current consensus on some points of climate science is wrong, or at least sufficiently uncertain that we don’t know anything much useful about processes or drivers. But EVERYTHING? Or even most things? Take 100 lines of evidence, discard 5 of them, and you’re still left with 95 and large risk management problem. .. UNQUOTE. That first sentence, especially his “ .. sufficiently uncertain that we don’t know anything much useful .. ” sums up the state of scientific understanding of the processes and drivers of those different global climates. I repeatedly questioned him on how, having admitted this, he could remain so faithful to the CACC doctrine. For my pains I was banned from commenting on his blog. His attempt to justify his position by throwing in a purely speculative implication that 95% of the science was understood was even less convincing that the IPCC’s attempt to quantify uncertainty by invoking “expert opinion”. No matter how it is camouflaged, opinion is only opinion. It is worth noting that despite the fact that Brook was a senior advisor on climate sciences to the Rudd government his demonstrated research expertise is in species extinction, not climate processes and drivers. The evidence does not support your comment about the level of scientific understanding of climate processes and drivers “ .. that understanding is well-established and they have been proven right over the past two decades .. ”. From 1991 – 2011 the estimated atmospheric CO2 levels are claimed to have continued to rise whereas the estimated mean global temperature appears to have remained virtually stagnant. It is hard to understand how such evidence supports an opinion that positive feedback is driving the globe towards a temperature tipping point beyond which climate catastrophe awaits. If you wish to learn something about the greenhouse effect and why the IPCC’s claimed “positive feedback” is pure speculation then have a read of the scientific analyses by fellow-Canadian Roger Taguchi on the “Physics of the atmospheric greenhouse(?) effect” thread (Note 3) of Professor Judith Curry, Chair of the School of Earth and Atmospheric Sciences at the Georgia Institute of Technology (Note 4). I was amused by your March 2008 article “Last March of the Global Warming Denialists” (Note 5). Since then, especially following the revelations of Climategate, despite the best efforts of the power-hungry, the politicians and the environmental evangelists, scepticism has been rising exponentially as faith in the CACC doctrine declines. I find your association with Inter Press Service (Note 6), International council for Local Environmental Initiatives – ICLEI (Note 7) and Agenda 21 (Note 8) interesting but unsurprising for a staunch environmentalist. I see that you are holding out the begging bowl “It costs just $5 a week – about the price of a cappuccino or a cheap pint – to support enviro journalism that serves the public interest. Simply: Without your support I can’t work for all of us. — Stephen. Contributions can be made safely and easily via PayPal or Credit Card” (Note 9). That says as much about you as the appeal for charitable donations made by “the Slayers” (Note 10) to help them set up their company Principia Scientific International (http://funds.gofundme.com/1v39s) says about them. I trust that you have had as much success in your fund-raising attempts as they have (see my comments on that page). Now let’s focus on what you like to write about, climate science. I tried to find out what your scientific qualifications are but can find none. Does this mean that you don’t have any of significance and simply parrot what others say? You write as though you are an authority so perhaps you can demonstrate how competent you are by discussing an issue that has been puzzling me for over a year now, the vexed question about the validity of the atmospheric CO2 record derived from air “trapped” in ice. The “hockey stick” shaped curve derived from this “trapped” air is as fundamental to the belief that our continuing use of fossil fuels is leading to CACC as was Michael Mann’s global mean temperature “hockey stick” increase during the past 1000 years. McIntuyre & McKittrick showed that claim to arise from the use of inappropriate statistical methods. Scientists like professors Hartmut Frank and Zbiniew Jaworowski argue that the CO2 “hockey stick” is no less misleading. Here’s my starter question, which I have put to “experts” like Severinghaus, Alley, Bender, etc. May be you have a better understanding of the science and can explain (where they all failed) why they prefer to use collision diameter rather than kinetic diameter when researching the movement of the different atmospheric gas molecules through firn as it approaches close-off. NB: I have removed http:// www. from 1), 6), 7), 8) & 10) and http:// from the others.